They said it needs to be returned to Japan for analysis because it is a warranty claim, but I suspect you might be right about the dumpster. Or maybe they take it back for the $150 fix and sell it as a new one for $4500. Yay, our replacement charger has arrived, now being fitted by Paceway. I asked if we could keep the old charger and they said No. really? did they give a reason? when our Battery ECU was replaced, we were given the old one, had to ask for it though. As above, they said because it was a goodwill warranty they would keep it. I think if we paid for it like you they would be hard pressed to not allow us to have it. They might have just not wanted to commit to it, I'll ask again when it is fixed. Paceway have now put all the new bits in the car, unfortunately the computer still says no. They say are trying to find someone with a hard copy of the manual, and say they will give me an update on Friday! Not sure why they need a paper copy of the manual, perhaps because the electronic one seems to be set up to run on Windows95 or something. Yeah, I wouldn't have thought a paper version existed. And when I happened to get an electronic copy it wanted to run in Internet Explorer version 6. Maybe they should use http://mmc-manuals.ru/Mitsubishi_i-MiEV ... ce_Manuals! Paceway have now put all the new bits in the car, unfortunately the computer still says no. .
No, as in all warning lights are still illuminated? did they replace the Motor controller fuse as well? They just said there is a software problem, no details. They are supposed to be giving me an update tomorrow, I can ask about the motor controller fuse then, is that a problem you had? It was running fine before swapping the charger, just not charging. 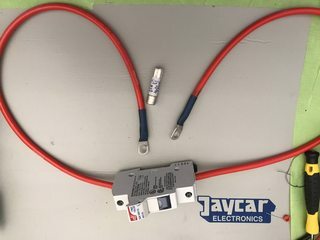 There is a 20 A high rupture current (sand filled or ceramic) fuse exclusively for the charger and DC-DC converter, which is located in the motor controller. That's to protect the cable from the motor controller (where fat cables from the battery live) to the charger and DC-DC. Because it isn't where technicians intuitively expect it, it can be overlooked. Although the step by step trouble shooting guides should mention it. Most charger failures cause that fuse to blow. Unfortunately, stock of the fuses is low compared to the demand, so there may be another delay sourcing a fuse if needed. It's an unusually compact fuse, so it can't be replaced by an off the shelf item. DIYers sometimes use a photovoltaic fuse in a DIN rail mounting holder with flying leads for initial testing while they wait for the Mitsubishi part to arrive. Unfortunately, the dealer won't do that, they'll wait for the proper fuse. 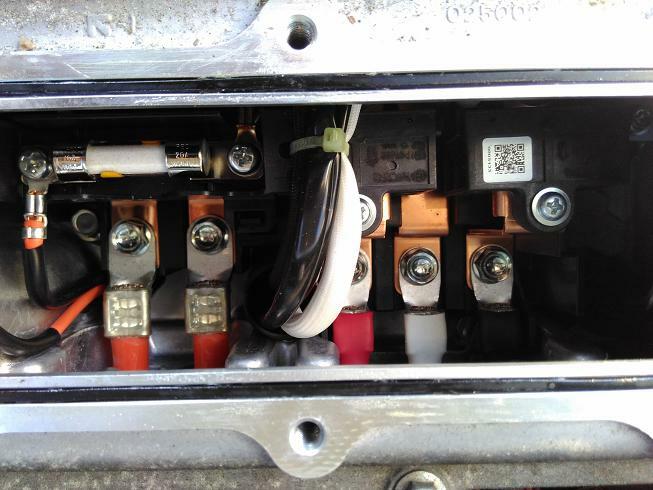 I ordered a replacement fuse from Mitsubishi today. 2 months by sea freight from Japan. I hope they are not going to make us wait another 2 months. Fuse doesn't look big enough to require a ship to transport. I hope you get yours quicker. If it is the fuse I will see if I can convince them to fly it, and maybe throw in another one or two. Mitsubishi Australia are quite apologetic over how long it has been, but not sure what they can actually do. Is it being fixed under warranty? If not, then they can't keep the part, it belongs to you. I had the same battle with Mitsubishi over my old traction battery. Initially they said "No", I replied saying they were infringing my rights under Australian Consumer Law. They then said they had to keep it "for safety reasons". I advised that I was aware of the hazards and would manage these. They ended up sending me a letter advising of all the hazards, but have reluctantly agreed to let me take the battery. Ooops, I posted this before seeing later posts saying it is being done under warranty. I'll leave my comment here anyway as it may be relevant to others searching/reading this thread. Last edited by rhills on Fri, 12 Oct 2018, 07:23, edited 1 time in total. Yes, as you noticed it is warranty. Slightly annoying they won't let me have the part, but very nice that I am not paying for the new one. Assuming they can actually get the car going again. 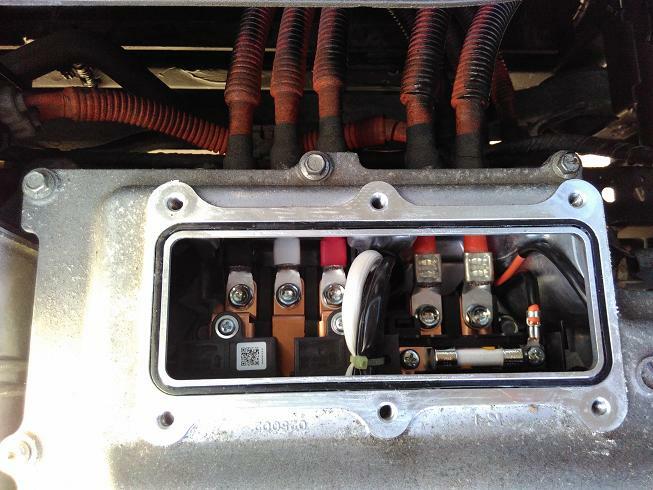 Replaced the snubber capacitors, put in a temporary fuse, put it all back together and into the car. Still have the warning lights on. I wonder if we have another fault elsewhere or if we need to clear the error codes before it will attempt to charge? Paceway said ours is giving the same error code but from a different location I think. They only have one technician who can work on the i-MiEV so not doing any more until Tuesday, but did say they had succeeded in getting more information. I would have assumed the trouble codes were unique to their source and all ended up on the same data bus. But I've seen some diagrams showing another can bus in the imiev. I think the guy I've been talking to is a customer service type position, not a mechanic, so wouldn't read too much into what he said. They say they have checked the fuse and it is OK, working through 3 pages of manual checklists and getting external assistance, devoting tomorrow just to our car. What happens if they can't fix it? I can't imagine it's not fixable, although they might have to phone a friend in Japan. It would also be silly for them to replace such an expensive part without fixing it. Paceway have now done all their diagnostics and say it points to a problem with the EV-ECU which they want to replace as the next step. They are currently working out whether they want me to pay for that or not. I'm a bit worried that it is not actually the problem, and will result in another couple of months delay without making any progress, even if I don't need to pay for it. I hope they are sending all the parts over in boxes of ten! Unfortunately swapping the EV-ECU didn't fix it. Paceway going back to 'technical' for another idea. Sorry to hear that Mike. I hope they come up with a solution that doesn't delay things more. I got my i909, and read a new P1A15 trouble code from my imiev. It's the only "active" code, which means we've no evidence our charger repair hasn't worked, but have a new problem. Unfortunately the i909 doesn't seem to clear the stored trouble codes. However I think once we are able to resolve the P1A15, the car will start if it's not an active trouble code. It seems the standard diagnostic process is to swap bits out until the error goes away. Have you thought of getting another opinion? I've just picked up my old PHEV battery from Daniel at evShop Perth and I was very impressed with their setup. He has a bunch of iMIEV cells there so I gather he has worked on a few iMIEVs. I think I'll be going to see Daniel the next time I have something wrong with the PHEV, he seems to know what he is doing. I have no vested interest, just a very happy customer.